These caterpillars never cease to amaze us! Just this morning when I came home from work, they were still caterpillars curled up and suspended from their leaves. 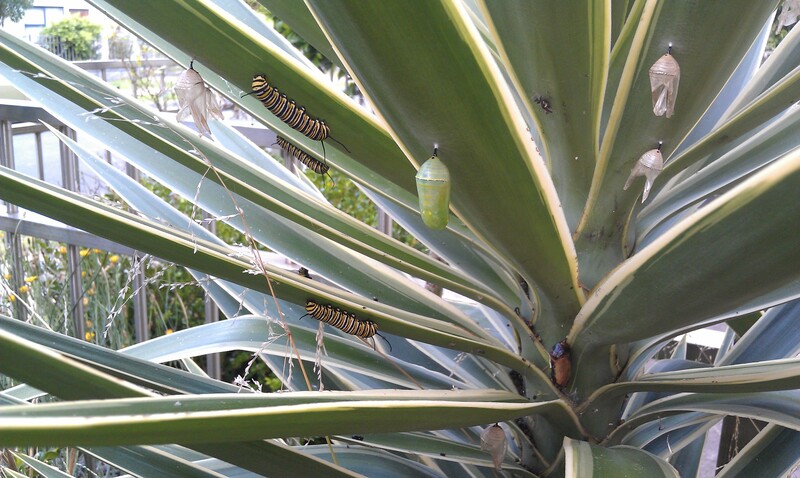 This evening when we went out for dinner, they’ve transformed into chrysalises already! 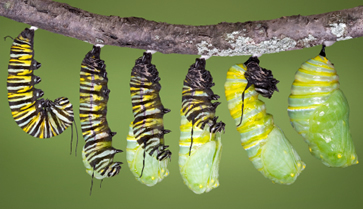 Apparently, according to Wikipedia, the caterpillar stage only lasts around 2 weeks. Within 8 hours time, the caterpillar had already transformed into a chrysalis - looks like a little green lantern!